Centre Shaft P/No: 19 - suit PMJ M10x1.0 ---------> Email for a quote! Centre Shaft Suit PMJnr M12x1.5 ---------> Email for a quote! Chassis Bolt Ball Bearing 19x55mm ---------> Email for a quote! Chassis Bolt Ball Bearing 9.5x50mm ---------> Email for a quote! HP-3 3/4x3/4 Piston Shaft ---------> Email for a quote! HP-3 3/8x3/4 Piston Shaft ---------> Email for a quote! HP1 to NP2 Shaft- 3/4UNF / M14 ---------> Email for a quote! M10 x M14 Piston Shaft to suit SQ. PD,s ---------> Email for a quote! M12 Adaptor Drawing 3318 ---------> Email for a quote! M14 Centre Pin Adaptor ---------> Email for a quote! 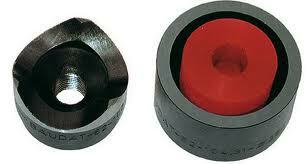 M14 Centre Pin Adaptor to suit EG3 ---------> Email for a quote! NP2 3/8 x M14 shaft to suit Square Punch & Die ---------> Email for a quote! Piston Shaft ---------> Email for a quote! Piston Shaft 10mm ---------> Email for a quote! Piston Shaft 14mm ---------> Email for a quote! Piston Shaft 3/8x3/4 PX-2 ---------> Email for a quote! Piston Shaft 3/8x3/8 NP-2 ---------> Email for a quote! Piston Shaft 3/8x3/8 PX-2 ---------> Email for a quote!